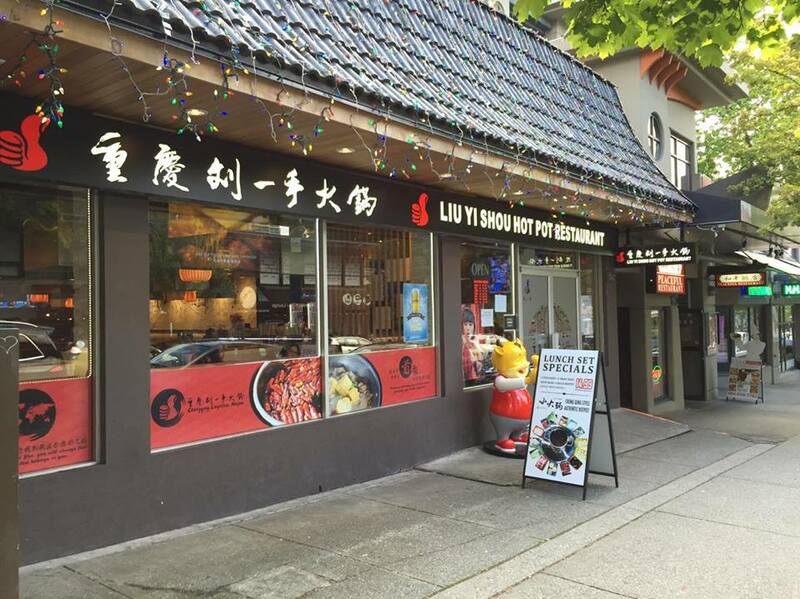 As part of a preview for Chopstick Fest, Jacqueline, Dennis, Stephen, Kym, and I were invited to try Liu Yi Shou Hot Pot Restaurant on Robson St., which will be a participiating restaurant for the festival. The festival will run from October 15th – 30th, 2016 and will have a similar concept to Dine Out Vancouver, but feature all Chinese restaurants. 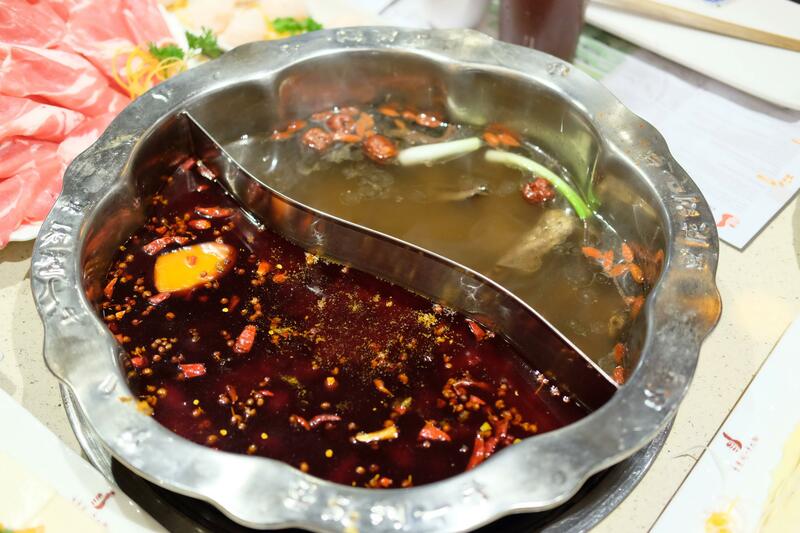 Liu Yi Shou is a Chong Qing style hot pot chain famous in China. It first brought their chain to Richmond under the name Thumbs Up Hot Pot, which I have yet to try. I think the two restaurant’s menus are pretty much the same though. The interior consists of booth seats with air ventilation from the prior barbecue restaurant. I love sauce bars so this is always an added differentiation. Here, I think you pay $2.50 to mix your own sauce with a large variety of ingredients. To be honest though, I usually stick with the simple soy sauce and satay! We chose to split the pot in half and have two soup bases. One was non-spicy and was filled with mushrooms and goji berries. The other was their famous Chong Qing Spicy Broth at a medium spice level. They told us that their spicy is quite spicy, so we settled with medium. The medium was a spicy numbing flavour, as expected with Chong Qing style cuisine. However, I think this was tolerable, especially when we had the other soup base to eat in between. I’d definitely say I’ve had spicier at my Szechuan friend’s house. They have all your typical hot pot ingredients, including fish tofu, fish ball, enoki, bean curd, tofu, lotus root, potato and taro. We also sampled corn, luncheon meat, shrimp paste, fish filet, shrimp, and deep fried pork. 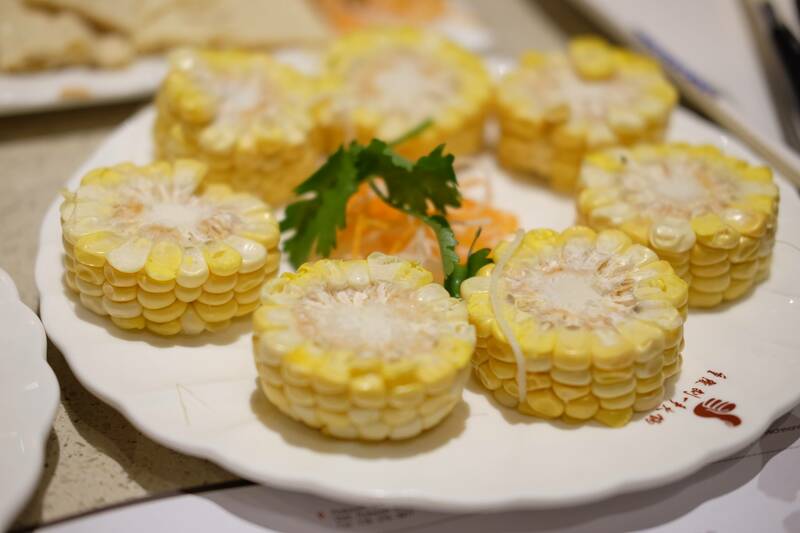 All were very standard with everything you could find at your typical Cantonese style hot pot. 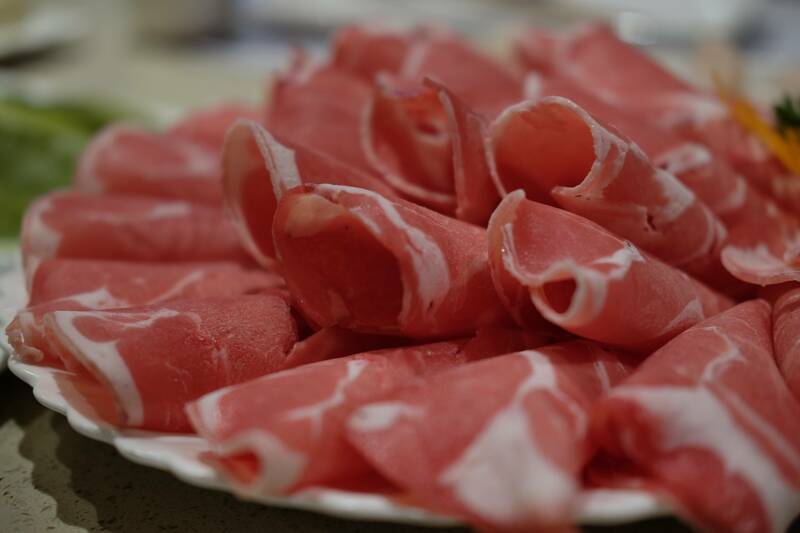 Meat is everything for me at hot pot, so I usually choose a hot pot restaurant based on the quality of meat. We were able to sample Supreme Beef, Supreme Lamb, and Sliced Beef. I loved the Supreme Lamb as it was buttery and tender. It also wasn’t gamey at all so many of the bloggers who don’t normally eat lamb didn’t even realize it was lamb! The Supreme Beef could be slightly more tender if it has more fat, but it wasn’t bad for sure. The Sliced Beef was the most chewy as expected because of the thick cut, but still very fresh. 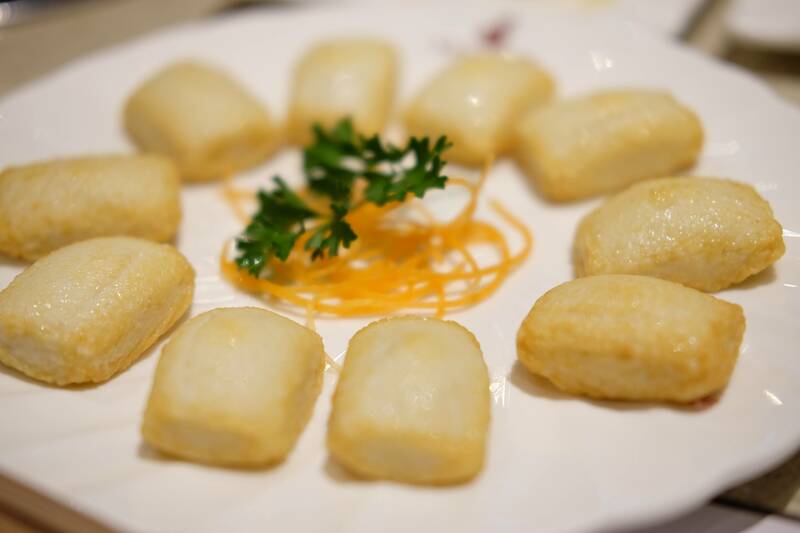 Overall, we were all pleasantly surprised by the quality of food at Liu Yi Shou. 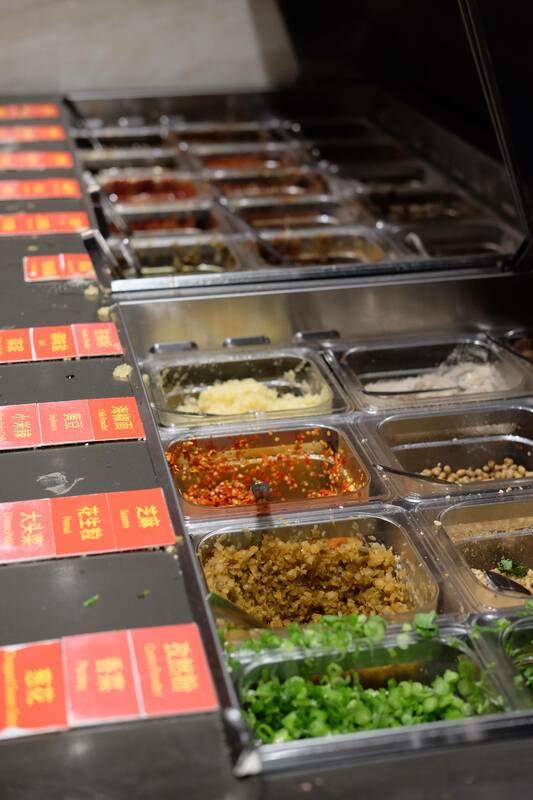 They are famous for their spicy hot pot, so definitely give that a try if you love spice. If you’re looking to fill up though, your bill might add up since it’s a la carte, rather than AYCE. However, the quality of food is therefore better than AYCE. 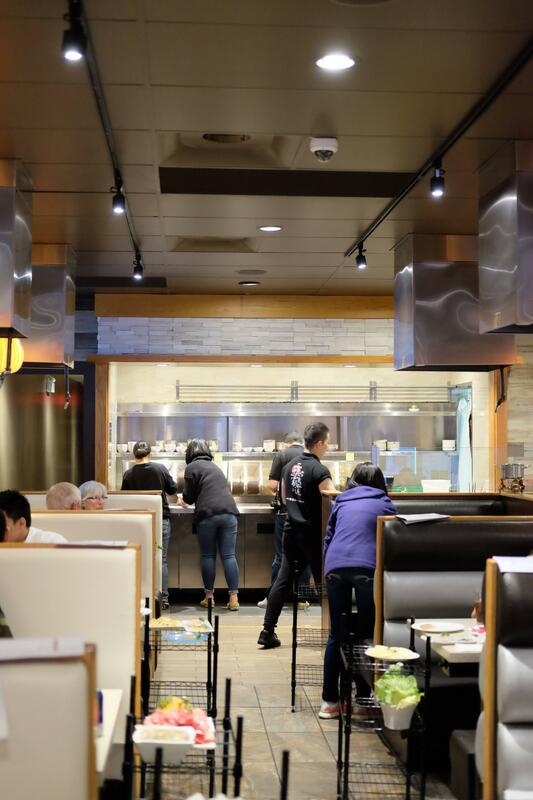 Oh and for all you hot pot newbies, they have a list showing the time needed to cook different menu items! That’s something I haven’t seen before for sure. 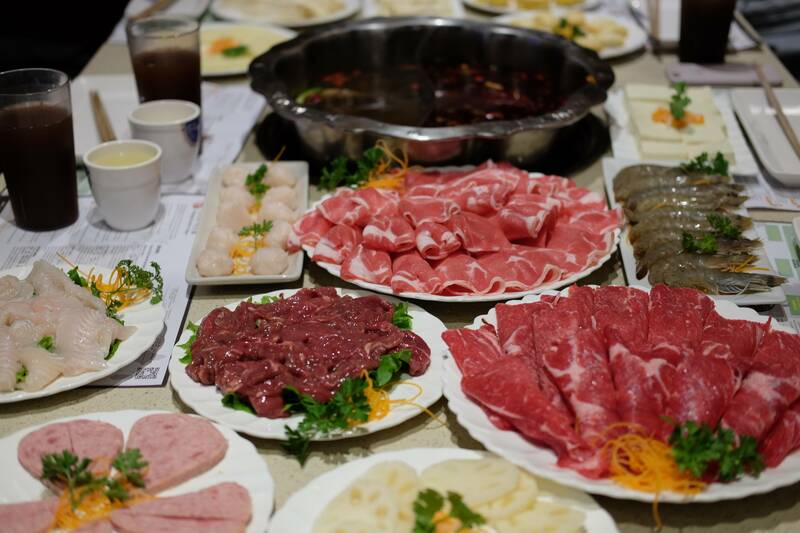 And did I mention, this is the only Chinese style hot pot you will find along the Robson/downtown area?